Just like we do today, the writers and chief actors of the Old Testament felt a deep longing for the presence of God. It is symbolized in the temple ruins, and before it the temple itself, and before that the ark of the covenant and the tabernacle that housed it, and before that the Garden of Eden. In response to this longing, God shares his ultimate mission, in which his people play a part: the expansion of Eden, the temple of God's presence, to all peoples throughout the earth. The temple has always been a source of rich scholarship and theological reflection, but what does it mean for the church's ongoing mission in the world? G. K. Beale and Mitchell Kim take temple theology off the bookshelf and bring it to our modern-day life, where the church is instructed and exhorted in its purpose. From Eden to the new Jerusalem, we are God's temple on the earth in our day, the firstfruits of the new creation. 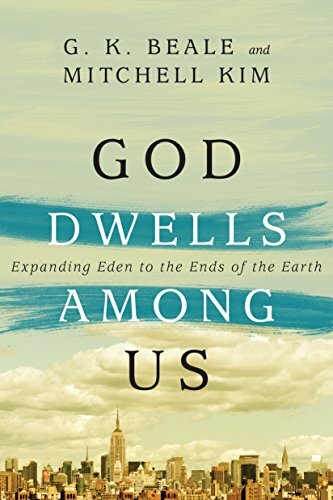 God has always desired to dwell among us; now the church must follow its missional call to extend the borders of God's kingdom and take his presence to the ends of the earth.